Dr Kalpouzos is Lecturer in Law and co-convener of the International Law and Global Affairs Group at City Law School. Before he joined City, Dr Kalpouzos taught at the University of Exeter and the University of Nottingham, where he obtained his PhD (2011). He has also been a Visiting Professor at the University of Notre Dame. Dr Kalpouzos is a Member of the Athens Bar (Greece) and he is the co-founder of the Global Legal Action Network (GLAN), a non-profit organisation bringing together legal practitioners, investigative journalists and academics to pursue innovative transnational legal actions. He is the book review editor of the Journal of Conflict and Security Law. Dr Kalpouzos’ research is in the law of armed conflict, international criminal law and the law on the use of force. 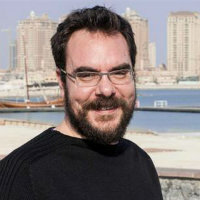 His research focuses on the role of non-state armed groups in international law, particularly in the context of ‘new wars’; on law and new technologies of war, particularly their influence on asymmetry in conflict and the influence of increasingly autonomous weapons; and on international criminal law and ‘banal’ or ‘structural’ criminality. He was awarded a Harvard Law School Institute of Global Law and Policy collaborative grant for his research on Law and Technologies of War. Ioannis' specialism is in public international law, especially the law of armed conflict and international criminal law. Ioannis' research focuses on how international law understands 'armed conflict' and how this is changing, both in the context of international criminal law's focus on local violence and the combination of the 'war on terror' and new weapons technologies. He is also working on a theory of 'banal international crimes', which would allow international criminal law and institutions to address structural violence. Ioannis welcomes approaches for supervision from prospective PhD students in the area of public international law, and especially in the areas of the law of armed conflict, and international criminal law. Thesis title: The Role of Victim Participation and Reparations in International Criminal Law to Align the Goals of Peace and Justice. Kalpouzos, I. (2018). The Armed Drone. (pp. 118–129). Oxford University Press. Kalpouzos, I. (2017). THE ASSASSINATION COMPLEX: INSIDE THE US GOVERNMENT'S SECRET DRONE WARFARE PROGRAMME. BRITISH JOURNAL OF CRIMINOLOGY, 57(6), pp. 1530–1532. doi:10.1093/bjc/azx025 . Kalpouzos, I. and Mann, I. (2015). Banal Crimes Against Humanity: The Case of Asylum Seekers in Greece. Melbourne Journal of International Law, 16(1), pp. 1–28. Kalpouzos, I. (2013). International Law and the Classification of Conflicts. LEIDEN JOURNAL OF INTERNATIONAL LAW, 26(3), pp. 767–772. doi:10.1017/S0922156513000344 . Cryer, R. and Kalpouzos, I. (2010). I. INTERNATIONAL COURT OF JUSTICE, CERTAIN QUESTIONS OF MUTUAL ASSISTANCE IN CRIMINAL MATTERS (DJIBOUTI V FRANCE) JUDGMENT OF 4 JUNE 2008. INTERNATIONAL & COMPARATIVE LAW QUARTERLY, 59(1), pp. 193–205. doi:10.1017/S0020589309990145 . Kalpouzos, I. (2008). David Kennedy, Of War and Law. Journal of Conflict and Security Law, 12(3), pp. 485–492. doi:10.1093/jcsl/krn004 .